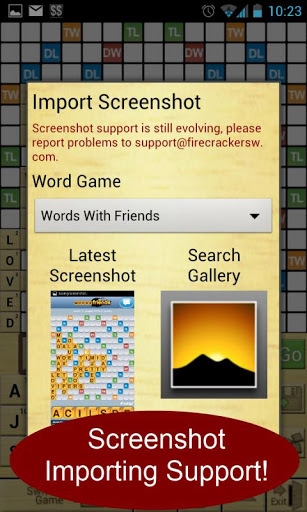 Word Breaker is our premier cheat and learning tool designed to help you play all of your favorite word puzzle games. 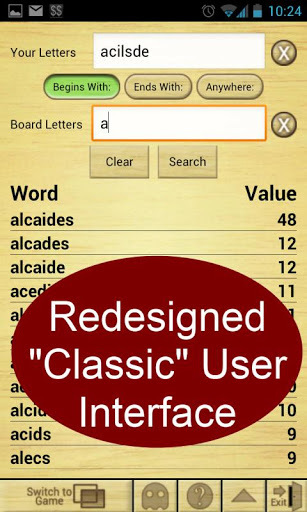 It supports Scrabble, Words with Friends, Wordsmith, Wordfeud, Words By Post, Crossword Puzzles and more! The ultimate cheat when you're truly stuck. Supports the following games: Words with Friends, Angry Words, EA Scrabble, Wordfeud, Wordsmith, and Words By Post. Lightning fast searches that include *all* of the results. Unlike other "free" apps we don't hide the first 5 results from you! 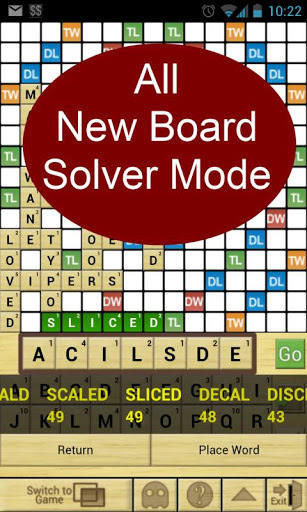 All new Board Solver mode that will maximize your score! Ghost Mode lets you see the game board without having to switch apps! Screenshot imports: import a screenshot directly into Board Solver mode. 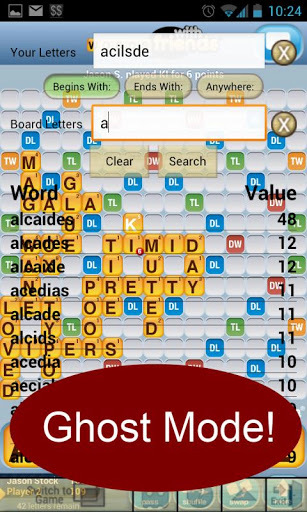 Currently only works with Words with Friends on phone sized devices. We're working on Wordfeud for a future release! Exclusive "What's left in the bag" screen that shows you all of the tiles left in the bag! Quick launch button to get you back into your favorite word game fast! 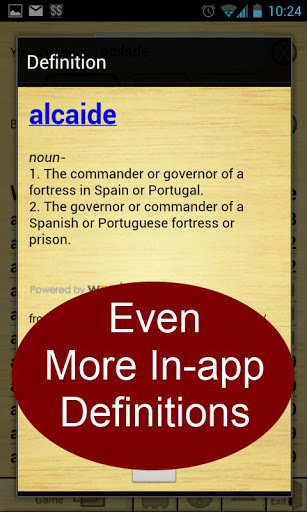 Supports multiple dictionaries including ENABLE, SOWPODS, and TWL. Supports blank tiles (wild cards). Options to filter results based on length.